Jim Greenheck Wins in Indy! CTech Manufacturing Founder and President Jim Greenheck just brought home a shiny new Wally from the NHRA Summer Spectacle at Lucas Oil Raceway in Indianapolis! Jim took the win in the Competition Eliminator class behind the wheel of his 2012 'racecabinet.com' Camaro over Chad Voges of St. Peters, MO. We're proud to be a company that doesn't just supply racers with top-of-the-line equipment, but also lives and breathes the sport! The Summer Spectacle was hosted by NHRA's North Central Division and featured 13 different classes of drag racers going head to head. Jim's latest win boosts him to tenth in the National NHRA Lucas Oil Drag Racing point standings, continuing a stellar year for himself and Crew Chief Brandon Frank. Congrats to everyone at the track! Mobile Vs. Stationary Cabinets: What's The Difference? Mobile storage problems require innovative thinking to solve. CTECH excels in designing, engineering, and producing highly functional, and brilliantly aesthetic storage solutions for mobile applications. Because after all, not all trailer cabinets are created equal! Cabinets that are built specifically for off-road bashing or long stints on the highway require a little something extra. Trailers in particular must meet maximum weight requirements, not just to save fuel, but because it's the law! 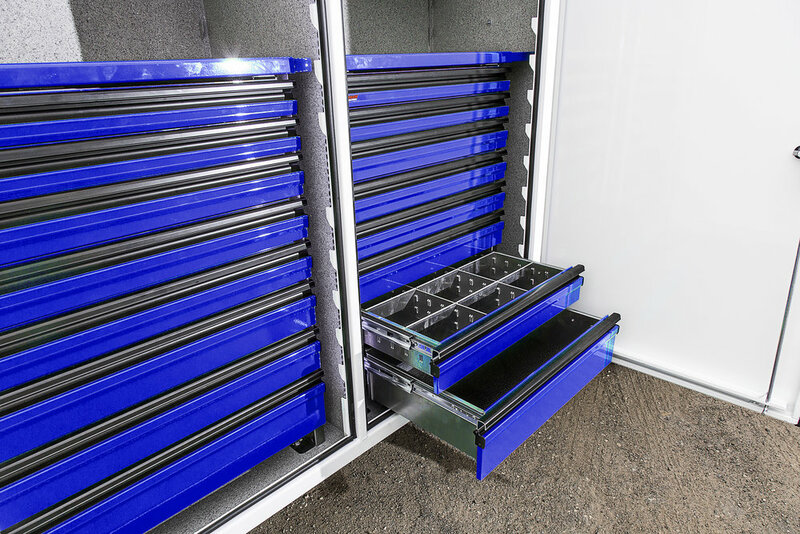 Drawers, cabinets, and the entire storage systems must also endure bumps and jolts in the road, and structural failures in those cases can be disastrous. MotionLatch drawer/door handle technology ensures that drawers stay closed in rough travel, yet open with fingertip ease. The design incorporates a 'full-face' handle that spans the entire face of the drawer/door. Fastener assembly making up the cabinet structure allows the system to flex during rough travel. Welded, or non-metal cabinets tend to break at the seams or pull screws through in those conditions. All-Aluminum construction: CTECH cabinets are made of lightweight and extremely tough 5052 aluminum construction, which makes them perfect for mobile storage systems small and large. 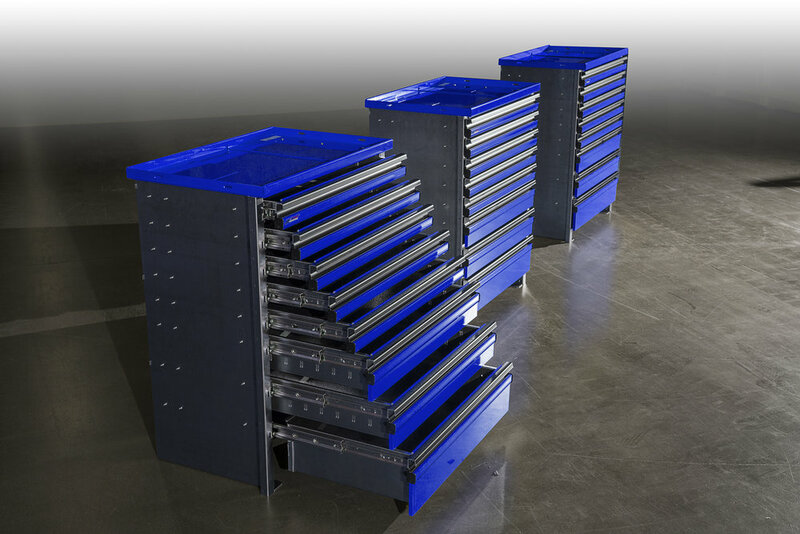 Ultra-strong, smooth-sliding drawers are extremely important when road conditions take a turn for the worse. There's nothing much more demanding than a drawer packed with heavy tools being thrown around during transit. Show-quality powder coat finishes are also found on all CTECH products, providing a tough, aesthetic finish to any storage system. Keep an eye out for Jim Greenheck inside the CTech Camaro! CTech is officially sponsoring the Jegs NHRA SPORTSnationals Comp Fast Four! Jim Greenheck, our President and Sportsman racer himself, is excited to participate in this year's event at Beech Bend Raceway Park! STEM Programs Take On Road America! This week, Road America and the CTECH Motorplex hosted some of America’s future engineering and manufacturing stars. STEM programs 'Challenge USA' and 'Formula Student USA' held their crown jewel events at the Elkhart Lake facility on Monday and Tuesday, each offering a unique and equally ambitious challenge. On the 4-mile track, Challenge USA carried out their “Supermileage” and “Electrathon” events. The goal; lap the entire track while using the least amount of gas or electricity as possible. Each high school team is responsible for designing, developing, and building their own chassis and powertrains according to the rules. MPG estimates are in the hundreds, and for the Supermileage event, teams are only allowed to use a fuel tank smaller than the size of a soda can! Meanwhile, at the CTECH Motorplex participants in the Formula Student event focus less on MPGs and more on building the fastest, most reliable racecar. Chassis rules are a bit more stringent in this category, and all components are either adapted from existing parts or custom-made by the students themselves. Students from the Ashwaubenon High School even let us take one of their new chassis for a test drive; a reverse-engineered Caterham/Lotus style vehicle strapped with a Briggs & Stratton Vanguard engine! Hearing the passion in these student’s voices and seeing their skills in action was an inspiration. CTECH is proud to support the STEM Academy and many other similar programs taking place in Wisconsin and around the Midwest. With a bit of help, these young professionals are going to build a better future! If your car is to your garage what jewelry is to a jewelry box, style really matters. We talk a lot about the innovative features and extensive engineering that go into every CTech product, but sometimes we forget to appreciate the subtle beauty of a well-designed storage system. Don’t take it from us! 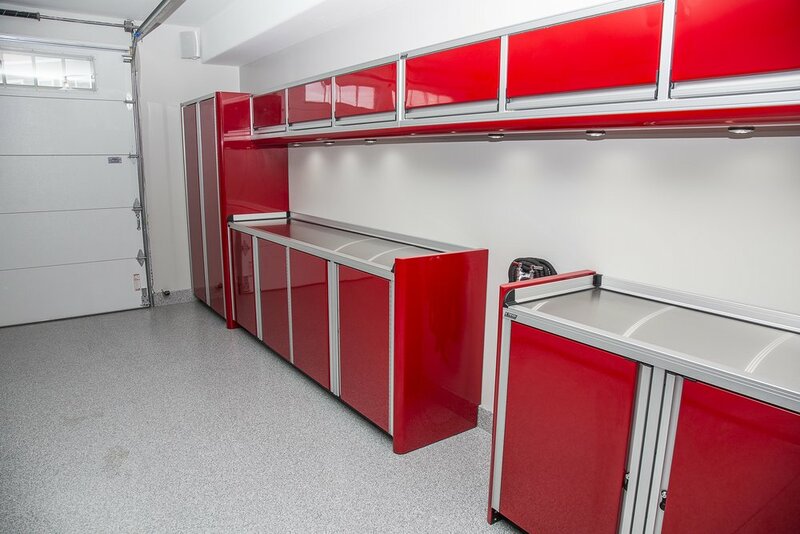 Take it from Ralph La Macchia, who recently had a custom CTech cabinet system installed in his new garage near Road America in Elkhart Lake, WI. 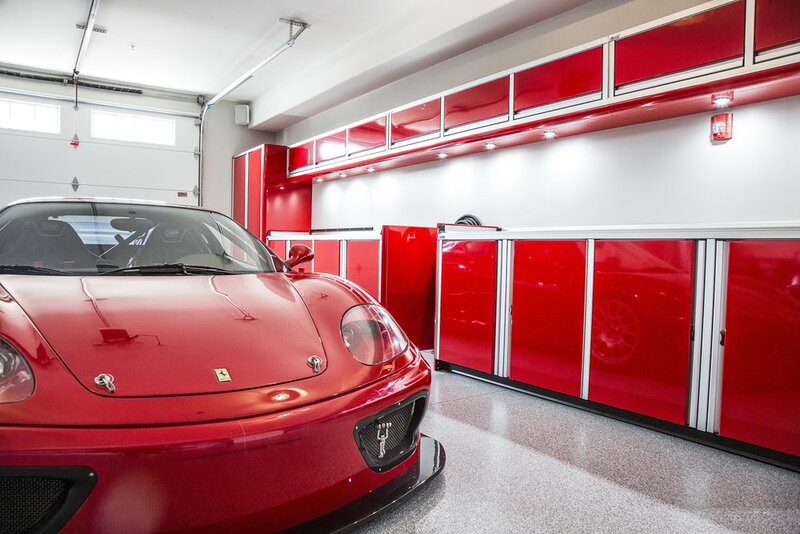 La Macchia is a new resident at The Motorsport Villas, which is a brand-new garage/condo community in Elkhart Lake, offering high-end condo amenities and garage space tailored to car guys and motorsport fanatics. The Villas represent a growing movement to build high-end “hybrid” spaces that for many represent the ultimate standalone man cave. However, these spaces aren’t just for wrenching and resting, they’re also used for entertainment. Naturally, CTech cabinets serve that purpose well. Q: How important is it to have a well-organized garage? A: It is very critical to me as I am a car guy, I want to present my vehicles and the space they reside in an organized way. I wouldn’t want to place my car in a garden shed! 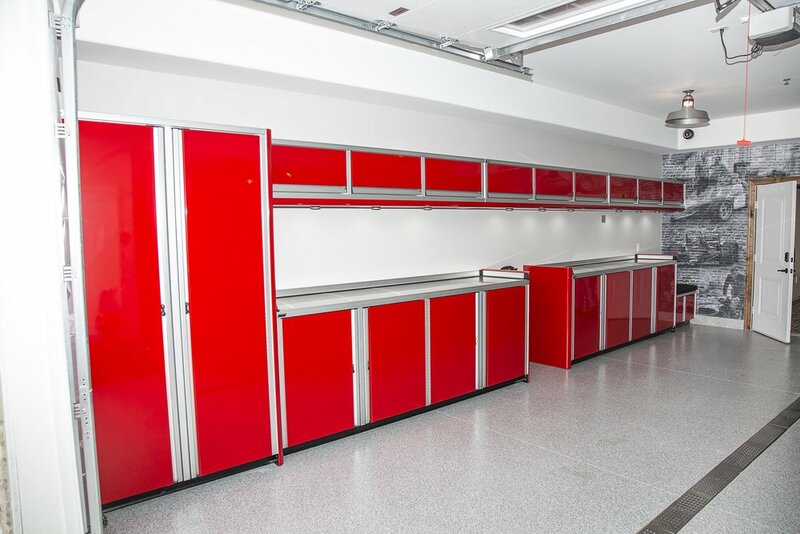 Q: Do you think that it’s necessary to have a dedicated storage unit in a garage or shop? A: Yes, I believe it is important to have an organized space no matter what its purpose. Whether it be the organization advantages of having a garage storage cabinet, which adds efficiency, or the clean style and having your belongings hidden from plain sight. Having a clean, well-kept garage speaks volumes to another car guy. There is also an added level of security these cabinets offer by keeping your belonging out of plain sight and having the option to add locks. Q: Why did you choose CTECH over another storage brand? A: The design, ease of use, appearance, accessibility, quality, and features associated with the cabinets is way above the other brands available. I also am a firm believer in supporting local companies and knowing CTech is manufactured in the U.S. made it an easy decision. Even when comparing CTech’s product to other U.S. manufacturers I felt they had a far superior product when you take into consideration the small features which make the cabinets feel solid while still being made of aluminum. As far as finish and styling goes, the CTech radius corners gave the high-end appearance I was looking for. 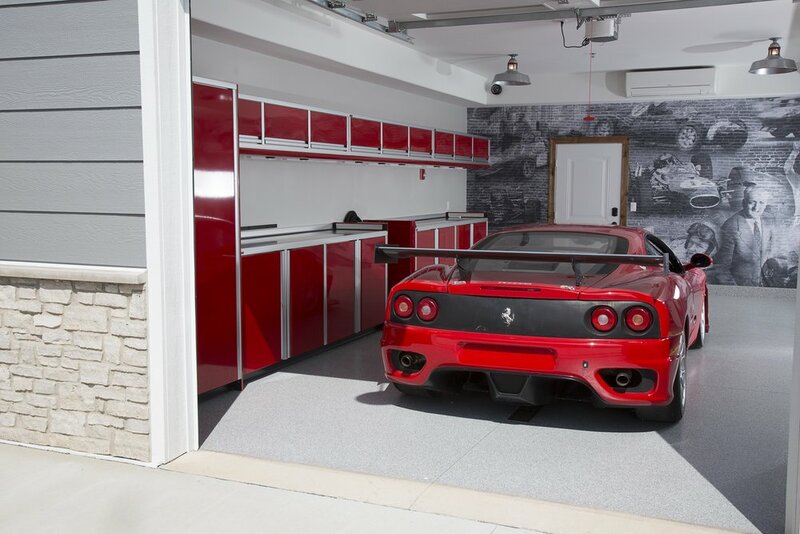 Q: What kind of storage features were important to you when you were building your Elkhart Lake garage? A: I wanted something that I could put a grinder on the bench next to a set of crystal glasses and they both felt at home, a sense of style with durability. I use this garage environment for entertaining and wanted to portray that quality and comfort in an automotive-themed space. 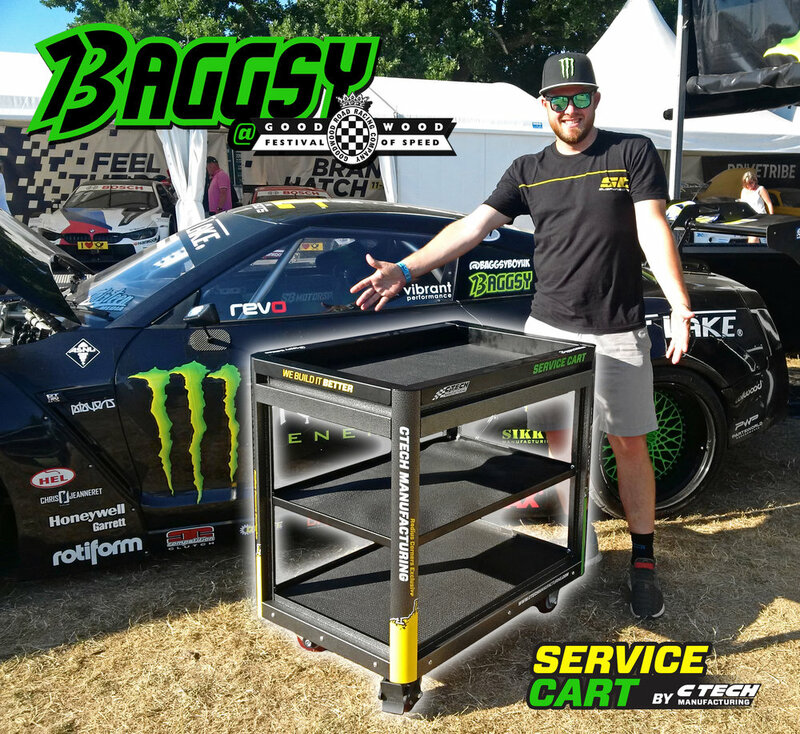 When displaying my vehicles, which range from a 1969 Ford Mustang 428 R-code to a Ferrari 550 Maranello, I needed a cabinet setup which portrayed the same level of quality, and CTech has achieved that. We are proud to announce that CTech Manufacturing has acquired a building and property for its new Research and Development Center. Dean Lee, VP and Business Manager says: "This has always been a consideration for our company because of the effort we put forth in new or improved product development.” The CTech Research and Development Center will house our injection mold die development, 3-D printing, as well as an advanced machining center to support prototyping. Jim Greenheck, Founder and President of CTech, is very excited about the new opportunities that will come forward with this expansion. Greenheck states: "Combined with our 80,000 sq. ft. expansion that’s almost complete, these additional investments and efforts will allow us to better serve our customers moving forward. At CTech we’re all about designing quality products in a timely fashion."